Given the popularity of Cardano (ADA), I am surprised at how underrated it is even today. But believe me, it is not going to stay like that forever. One less known fact about Cardano is, it is sold as an “investment to retire on” in Asia, specifically in Japan and has a fantastic team backing it. For the uninitiated, Cardano, an open-source blockchain 3.0 platform for building DApps and smart contracts, is the top contender of being the Ethereum killer. Cardano has been in the top 10 cryptocurrencies by market cap (as per CoinMarketCap) since December 2017. But many in the cryptosphere remain unaware of Cardano and how to buy it. That’s why in this article I will tell you how you can buy Cardano to make it a part of your long-term investment portfolio and where you can do that. Being in the top 10 of CMC is enough to get noticed, and that’s why buying it is easy. 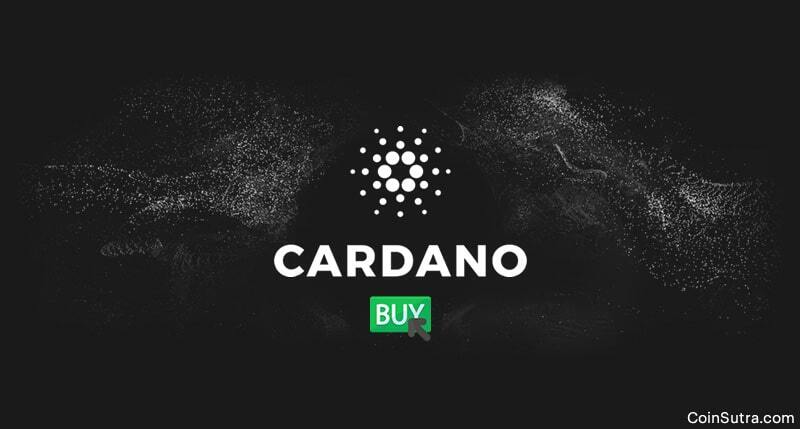 A lot of exchanges and services have Cardano listed. Once you know ‘how to’, you just need to know ‘where to’ go to buy ADA. I have simplified things here by listing services in each of the categories that we have discussed in the previous section. Using credit/debit cards is the easiest way to get hold of any cryptocurrency, and ADA is not an exception. However, there is only one service that lets you buy ADA using cards. Before using Coinmama for buying ADA, you need to complete their registration and KYC post which, you will be able to buy ADA using a card. Also, make arrangements for your Cardano wallet beforehand, as, unlike other services, Coinmama doesn’t provide an inbuilt wallet. 3. Buy ADA in exchange for other cryptos or ETH/BTC etc. Another easy way to get hold of ADA is through centralized cryptocurrency exchanges that sell ADA. Through these exchanges, you can exchange one cryptocurrency for another by paying a marginal trading fee. Similarly, if you have ETH, BTC, LTC or USDT, you can exchange these for your ADA cryptocurrency. 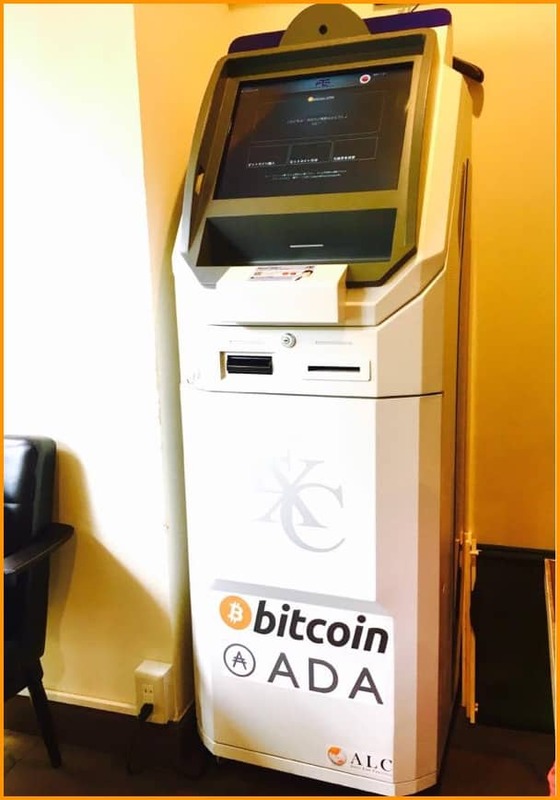 Buying ADA for cash or through peer-to-peer sources is difficult because there are no ADA ATMs like Bitcoin, nor does Cardano have escrow P2P platforms like LocalBitcoins. Update: ADA ATMs are here and you can start using them in Japan. However, that doesn’t mean that you can’t deal in peer-to-peer fashion if you get a deal. But mind you such dealings can be a fraud because you are solely trusting the buyer and seller. That’s why I won’t recommend this method unless it is the last option. As we speak, Cardano is sitting at #9 of CMC and is expected to grow more with its development happening at a consistent pace. Plus, because its lead developer is the former co-founder of Ethereum, with full focus on Cardano, you can expect something worthwhile from this affair. In my analysis, I found ADA crypto slightly better than Ethereum, but that’s just on paper because Cardano yet has to hit the market in full force and it is likely that it will happen in next 10-12 months. Lastly, don’t keep ADA in services and exchanges that I have listed above in this article. Instead get yourself a Ledger Nano S because it is going to be the first Hardware wallet that will support ADA and development has been happening from some time. Now it’s your turn to tell me: Are you invested in ADA? If yes, which method have you used to buy your ADA from the above list? Did I miss any other notable ways to buy ADA? Let me hear your thoughts in the comments below! Do share this post with your friends who are interested in Cardano. 2.3 3. Buy ADA in exchange for other cryptos or ETH/BTC etc. Very nice write-up. I have invested in Cardano (ADA) for the long term. I purchased mine with Ether on Binance. I agree with you about the outlook for Cardano. I have read just about everything about them. They have in my opinion, probably one of if not the best Dev teams out of all cryptos available.